How to choose the Navigator "Garmin"
How to download maps in Navigator "Garmin"
Garmin produces navigation devices for different purposes and users. Navigation devices allow drivers not to stray from the path, marine devices combine the functions of a Navigator and echo-sounder. For athletes produced a special sports Navigator "Garmin", allowing to make training more effective. Devices for active recreation have become the reliable helpers of tourists and hunters. Also, a big advantage is the ability to produce timely updates of the GPS. How to determine what is important in the Navigator "Garmin"
If the Navigator "Garmin" to be used at sporting events, the cards may not be necessary. For a device that will be used for hunting or fishing, need to support additional cards. A standard set of cards included Navigator free. A device designed for car use, needs to have a large screen. The weight of the device does not matter. If Navigator is designed for the pedestrian, the less the weight of the device, the better. Large memory size allows you to store tracks, routes and maps. Duration of work without recharging – the important criterion when choosing a Navigator. Additional functions of the device, for example a magnetic compass, altimeter or barometer, are very specific and need only some of the users. Necessary accessories for navigation devices "Garmin"
Important accessories of the Navigator are a USB cable for personal computer (usually included) and car charger, which will save batteries. Navigator can run on standard batteries size AA and AA batteries. For car Navigator will need to purchase an external antenna. Covers help to protect the device from damage, but somewhat complicate the work with the Navigator. To mount the unit in the car, on a Bicycle or motorcycle will need a special bracket. Not all versions of memory card is included, so you need to buy extra. Removable memory card device is ideal for experienced travellers. Cartography for navigation devices "Garmin"
Maps for navigation devices is the most important attribute. With the aid of maps the user can Orient in space and to reach their goal. The maps are referenced with longitude and latitude of the Earth and contain different types of objects. The types and number of objects depends on the type of card. For example, the object may be forest, river, city, road or point of interest. Most of the maps ensures maximum detail. Many models of navigation devices are supplied with a standard set of cards in the sale. 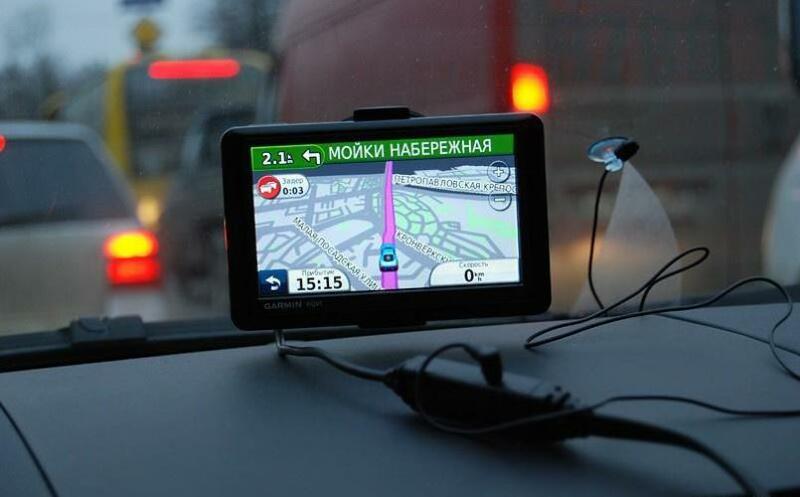 Manufacturer developed maps based on satellite images especially for navigators Garmin. To survey water depths or mountain areas applied magnetic resonance method that allows you to create maps with three-dimensional image. Maps for navigators Garmin are divided into road and touring. Road vector map is tied to roads and intersections. Hiking maps contain the most information on destinations, attractions and green areas. A good card will allow you to plan a travel route, noting the required items in the Navigator. The range of maps for navigation is frequently updated in accordance with user requests. Also, navigators can make unique maps for their routes on their own. 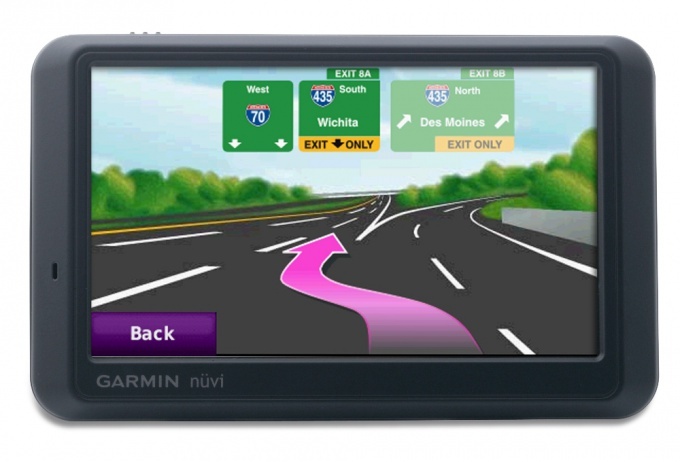 The owner of the Navigator "Garmin" can add the necessary objects and labels in already existing maps or create new ones. To adjust and create custom cards designed by special software products.